Hey friends, Are you looking for latest news regarding OJAS Talati Bharati?? If yes, than you are on right page. Here we update all news, information regarding Gujarat Talati Bharai on this page. We try to daily updated our visitors for Talati Bharati news, notification and other information. Talati is an important government employee to conduct Panchayat work in villages. Most of the administration work of the village panchayat is in charge of Talati. Talati is a very important employee in revenue department. Lots of young candidates of Gujarat state have been eagerly waiting for job of Talati and have also been start preparation from last many times. The Government of Gujarat has approved the Talati posts and the recruitment process will be started soon. Candidate are eagerly waiting for Gujarat Talati post now their wait will be over. The Gujarat Panchayat Service Selection Board released recruitment notification to fill Talati post. GPSSB published advertisement to invite aspirant candidate. This is a good chance for those candidate who are seeking job in Gujarat Panchayat Service Selection Board. 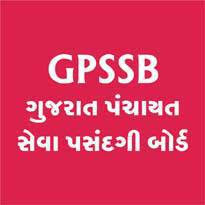 Applicants posses essential qualification they all are eligible for GPSSB Talati Bharti. GPSSB invite young and aspirant candidate through official website. No other mode of application acceptable. Eligible candidate may apply online on ojas.gujarat.gov.in from 18th September, 2018 to 8th October, 2018. They may submit fees till 10th October, 2018. Minimum education qualification required for available post 10+2 or any equivalent qualification. A Recruitment Organization conduct exam for recruit candidate in Gujarat Government class-3 posts. Board published advertisement and invite eligible candidates through online application on official website. Aspirant candidates may apply online mode. Commission test candidates through Preliminary Exam first. Candidates who successfully Cleared preliminary exam they are eligible for computer test. According to preliminary exam and computer exam Result will be announced. Commission will be call candidate for documents verification and after that selection list release for Final Posting. Candidate should not lose their patience and keep on preparing for the exam because many posts are going to be vacant in the Revenue Talati till 2019 and to fill it. We are currently providing information Talati exam pattern and syllabus by popular career academy. All the aspirant candidate are expected to prepare for following subject for the upcoming Talati Bharati. The following topics can include in Talati examination. Candidates are advise to bookmarks this page and be regular touch on this page for get more latest updates about OJAS Talati Bharti.